On February 27, 2018, the federal Liberal government announced the gradual reopening of two prison farms in Kingston, Ontario, at the Joyceville and Collins Bay institutions. This announcement marked the successful culmination of a local grassroots campaign which began soon after the initial closure was announced in 2009, and aimed first to save, then later restore, the farms. Dianne Dowling, a key figure in the campaign as a member of the Save Our Prison Farms (SOPF) committee, concluded that success came from the diversity of the cause’s supporters: “Some people liked the idea that inmates were contributing food to the prison system. Others saw it as good employment training, or as a rehabilitation program, particularly through working with animals.” Although many other issues – from public land use to food security – galvanized members of SOPF, the rehabilitative nature of farming has remained central to the local support for the prison farms. Perhaps best summarized on the now-defunct Save Our Prison Farms website, this support suggested that “farming provides rehabilitation and therapy through working with and caring for plants and animals.” There is a long history to this view. In fact, claims that prison farming rehabilitates inmates have remained remarkably consistent over more than a century. The reopening of these prison farms provides a necessary opportunity to reflect on where these continuing claims come from, and why, if farming can rehabilitate criminals, it has not succeeded even when part of widespread official policy. More importantly, can prison farming be relevant today, when it is historically rooted in fears of the urban population, an assumption that farms are inherent repositories of moral virtue, and a reliance on coerced labour? at the Industrial Farm, Burwash, a very large proportion [of inmates] enjoy the advantages of work in the open country on the farms and receive the healing influences of direct contact with the soil which is so conducive to restoring sane thought and a proper perspective toward one’s fellow beings. Neelands served as Superintendent of the Burwash Industrial Farm, and later the chief administrator at the Guelph Reformatory – institutions that used inmates to clear colonized land, practice experimental agriculture, and provide profits for the province while claiming to “make men new”[i] through a closer connection to the land, industrial and vocational training, and less strict discipline. Both Burwash and Guelph were representative of the “industrial farm” model that developed across Canada shortly before the First World War, as Ontario, Alberta, Saskatchewan, Manitoba, and British Columbia opened new prisons built on an explicitly agricultural model to replace older local jails. The ideal was to provide training that would prepare the inmate for farm work upon release, and to maintain the support of parsimonious governments by providing food and otherwise lowering the costs of incarceration. These dual objectives remained at the heart of the demand for prison farming for a century and a half, and re-emerged as arguments for prison farming by supporters of SOPF. The industrial farms were given tremendous impetus by the great increases in the urban population of Canada between 1881 and 1921. The rapidly growing industrial cities of the late 19th and early 20th centuries provoked two conclusions in criminologists and penologists. The first, emerging from a broad “environmentalist” consensus about the origin of crimes, saw the moral and infrastructural “decay” and “neglect” in Canadian cities, concentrated in slum areas, as driving the inhabitants to delinquency through poverty, disease and vice. Such views persisted well beyond the “age of light, soap, and water,” as well. One of the most significant documents of Canadian criminology and penology,[ii] the 1938 Royal Commission to Investigate the Penal System of Canada, identified the “demoralization of the present day…slackening of religious influences, the loosening of family ties, licentious pictures, publications and magazines” and the influences of “poverty, resulting in over-crowding, semi-starvation, and the absence of facilities for recreation at home” as root causes of crime. The second conclusion was that the farm, and outdoor work more generally, could be a form of treatment, if not for the conditions of the city, then at least for the criminal symptoms they provoked. Like many other Canadian elites, the 1938 commissioners, committed to expanding prison farms, accepted the dominant “agriculturist” assumptions of the early 20th century[iii] that held that the family farm and rural life were the repository of Canadian virtues – religion, family, self-sufficiency, self-control, hard work – and the opposite of the degenerative stimulation of the “jungle” of Winnipeg and the slums of Toronto. Although few reformers seriously advocated widespread resettlement in rural areas, the selective removal of populations considered deviant – from enemy aliens to indigenous children to convicted criminals, especially young delinquents – was widely embraced, with the farm held capable of countering the ‘demoralizing’ effects of urban life. Most importantly, the campaign to restore prison farming emerges out of long-established ideas about prison that see work as fundamentally redemptive. Making prisoners work has long been central to ideologies of imprisonment. Judges and prison administrators, as much as penal reformers, worried about the dangers of “enforced idleness” and accustoming prisoners to “habits of industry” and “constant toil.” Although by the 20th century, convict labour was generally considered “to benefit, rather than punish the convict,”[iv] it remained fundamentally coercive, backed well into the 1960s by the lash or solitary confinement to compel obedience. Indeed, the nature of prison labour has not been questioned very readily in Canada, even as activists, scholars and prisoners themselves in the United States repeatedly draw attention to the lineages between slavery and unfree labour in prison. In Canada, too, almost all prisoners have been required to work, even if the work was poorly supervised, menial, intended mostly for profit, or highly circumscribed by the other concerns of the prison – discipline and routine. The difficulties of mass, coerced labour are evident in the operation of provincial industrial farms, where the much larger demand for farm labour, and the open nature of the institutions, considerably increased the risk, and the fear, of escape. The focus on “moral uplift” and the less rigorous supervision may, ironically, have even increased the punitive nature of the prison – escapes or refusals to work were often accompanied by justified complaints of brutality against staff. For example, a 1917 Sudbury Star article reported two teenaged inmates “would rather spend two years at Kingston penitentiary then at Burwash, where they alleged they were harshly treated…” Riots and mass outbreaks in the 1930s and 1940s decisively shifted the already austere semi-military regimes of these provincial prisons away from the industrial farm model. The solution at the provincial level in Ontario was to erect new “rehabilitation centres” for young and first offenders, such as at Brampton, Monteith, Brantford and Burritts Rapids where the original regime of the industrial farm was reproduced and intensified: dormitories, no bars or armed guards, an “honor and integrity system,” vocational training and farm work. This was paralleled by the expansion at federal penitentiaries of farm work, and the opening across Canada of dozens of minimum security work and farms camps, two of which evolved into Frontenac and Pittsburgh in the Kingston area. In both cases, the proliferation of these minimum security facilities went hand in hand with the increase of security and discipline at other prisons. The isolation of farm work at specific minimum security prisons and the growth of control unit-style maximum security facilities spelled the end of “universal” labor in Canadian prisons. It was also a tacit admission that large scale penal agricultural work had not succeeded at producing obedient subjects. The focus on minimum security work camps and farming also coincided with post-Second World War urban growth and the continued shift away widespread agricultural labor. This posed, and continues to pose, an ongoing crisis for prison farming. An internal review of federal prison farms in 1973 remarked that the population change in “highly urbanized” areas, especially Quebec and Ontario, led to a drying up of “rural offenders…[who] find the farm an acceptable work placement” and that “inmates now have to be ‘forced’ to work on the farm.” Despite finding “a substantial number” of prisoners employed (220 prisoners out of 20,000), the same 1973 report concluded the farm annexes were, paradoxically, underused as overflow from overcrowded higher security prisons and yet still had too many inmate workers and supervisory staff, especially in slack winter periods. Other farm industries vital to agricultural production, like the canning plant at Joyceville, were hated by the inmates, who considered it “a dumping ground” where workers were forced there “under threat of discipline.” And while more bucolic operations did exist, considered to be both valuable to the farm and the inmates, such as the loaning of inmates during the 1960s to the Smithfield Experimental Farm in Prince Edward County, these operations employed only a tiny fraction of total inmate populations – in the case of Smithfield, just 8 prisoners a year. The central conundrum that has developed on the postwar penal farm is this: the relaxed atmosphere, hard work, skill building and lack of prison atmosphere at prison farms, all supposedly key to rehabilitation, reached maturity only when, due to security, cost, and the very nature of classification and segregation, the benefits could not be generalised across the entire correctional system. Instead, the “constructive” atmosphere has only been realised for a few select inmates as a reward for good behaviour. Intentionally or not, this serves to reinforce the more punitive aspects of the rest of the correctional system. 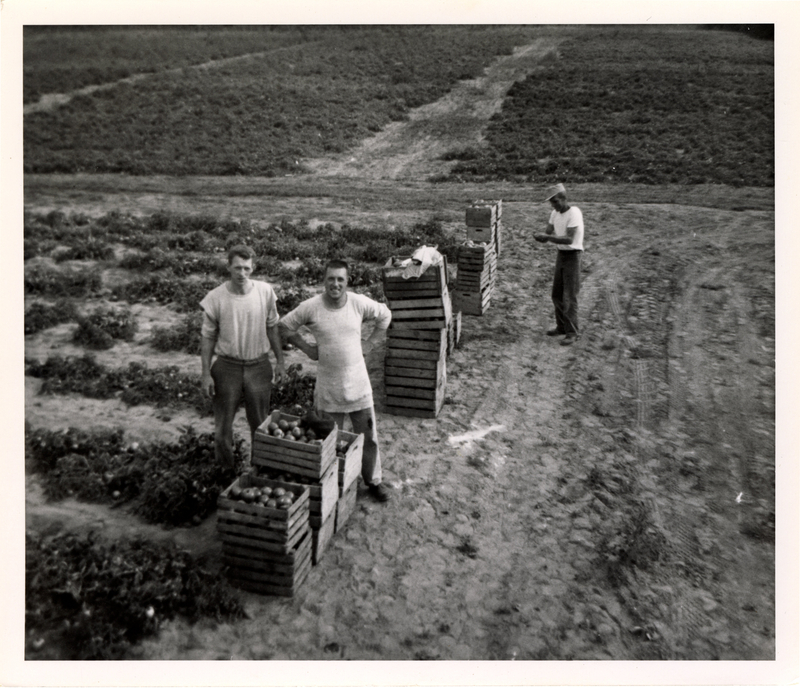 With the return of the Joyceville and Collins Bay institutional farms, a better understanding of how the prison farms developed, and the limitations that history reveals, is crucial to any consideration about the sustainability of prison farms as a form of rehabilitation. Cameron Willis works as Operations Supervisor and Research Chair at Canada’s Penitentiary Museum in Kingston, Ontario – he is also a member of CFRC 101.9 FM at Queen’s University, where he helps produce short documentaries and interviews academics, activists and prisoners about prison and prison issues. Special thanks to Robin Alex McDonald and Doug Nesbitt for their encouragement and assistance. [i] Quoted from the Toronto Globe, “Men Are ‘Coming Back’ in Working On Land,” November 30, 1914. The industrial farms were a frequent target of positive newspaper coverage. [ii] It is, for instance, considered a founding document by the contemporary Correctional Service of Canada, as evidenced here. [iii] As described by H. C. Pentland in Study of the Changing Social, Economic, and Political Background of the Canadian System of Industrial Relations, 1966. [iv] Special report to the Minister of Justice, Sup’t. Hughes, July 27, 1919; RG-73, Vol. 60, File 1-12-3.; Warden J. M. Platt, Warden’s Convention, 1901, RG-73, Vol. 30, File 1-18-5. This is fantastic! There is a parallel history of farms being considered as solutions to urban radicalism (not to mention unemployment).